How does E-Commerce Influence the Packaging Industry? The Internet has dramatically influenced lifestyles. At their fingertips, buyers have access to hundreds of products without ever leaving their home or office. With e-commerce, shopping is done visually only. Buyers can see packaging, read reviews, and view models to learn more about products. When reviewing your current package design, it’s crucial to keep buyers’ interests. The following factors can help determine how to best market your product to online buyers, so your package stands out from the rest. Packaging for e-commerce brings with it challenges for your brand’s supply chain. Is your current packaging durable enough to protect your goods in transit? More hands on your product mean you should be considering the packaging’s durability and if any alterations should be made to keep your finished goods protected in transit. Don’t forget; your product line won’t be sitting on the store shelf as before. Packaging isn’t as much of a necessity, but an opportunity to create a brand experience and emotional response with your target audience. Your packaging no longer needs to be considered as the primary tool to present a message. It should be utilized to enhance the at-home experience with your product as a whole. Creativity is key to maximizing potential with packaging in the online shopping world. By creating unique and memorable un-boxing experiences, you will be able to captivate your consumer in a whole new way. Consider the way your product sits within the protective packaging. Is there a way to speak to the target market that you haven’t considered with your on-the-shelf package design? It could be as simple as a bold, personal message to your consumer that makes them take a second look and smile. 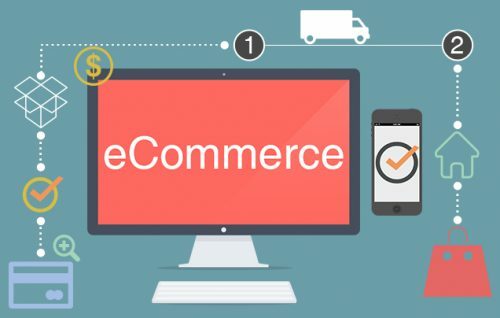 Considering all the factors, manufacturers need to think about when it comes to designing for e-commerce can be overwhelming and frustrating at times. At Liquipak, we can help. As an ISO 9001:2015 certified operator, our facility is both FDA and EPA registered for packaging a wide range of registered products. As your trusted provider, we can help you determine how to best design your flexible packaging and then kit and assemble the entire package to reach your customers professionally and efficiently.